I love weird watches. Here are a few of my favorites, what have you all seen? There were a couple Gruen watches with jumping am/pm indicators or military time indices. I also like this Tag clasp/case. Here’s another one. It’s my understanding that the three minute markers on the bezel are go time long distance phone calls, which were billed in three minute increments. Angular Momentum uses a rotating disc instead of a minute hand to indicate the time. FTE wrote: Angular Momentum uses a rotating disc instead of a minute hand to indicate the time. That’s a good one. I’ve seen lots of mystery dials, Zodiac still makes the one below, but I haven’t seen it done like that. 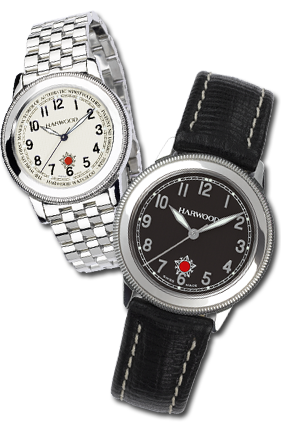 Once I came across the non-crown time setting system of the Harwood, I've been very tempted to pick one up. Especially as the new reissues keep that functionality the same. Still too $$$ for me to invest in what is essentially a super cool gimmick. Very cool, I've never seen that before. I assume it's a standard movement where the "crown" is actually a gear driven by the bezel. Creative way to get a clean look. I think it could make for a really nice looking dress watch if they implement something like this on a watch like a Hamilton Intra-matic. I saw. I also saw the price. Uffda. The price you pay to be unique I suppose. Here's another I ran across the other day. The crystal opens, and the hands and posts are reinforced so a blind person can read the hands by touch. atdegs wrote: Here's another I ran across the other day. The crystal opens, and the hands and posts are reinforced so a blind person can read the hands by touch. 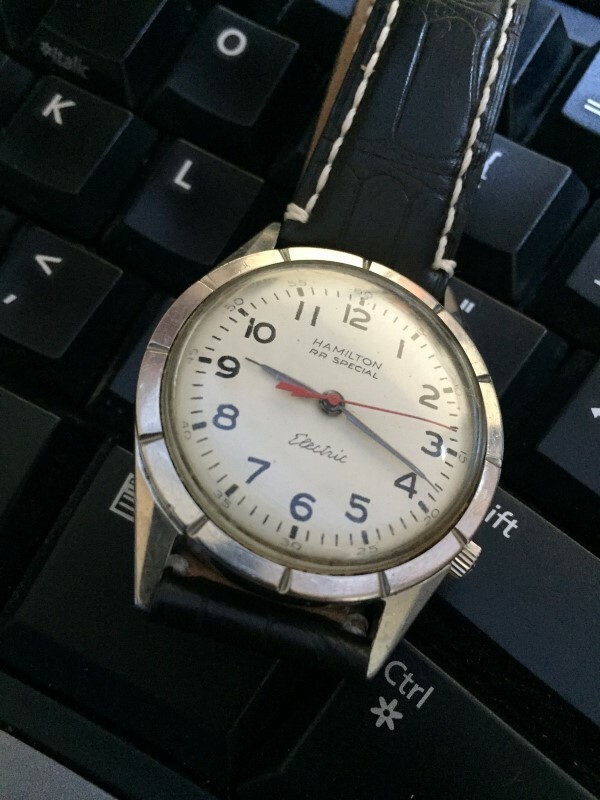 I know that both Vostok and Raketa did braille watches as well, but didn't do as fine a job in the hands as the one you posted. And keeping on the Russian theme, while not technically a complication(I am gonna count it), I have a strange desire to own one of these Slava medical pulsometer watches. Citizen Signature Moon Phase Flyback Chrono. Eight hands, unusual moon phase indicator. Second hand is one of the two on the 24 hr dial. 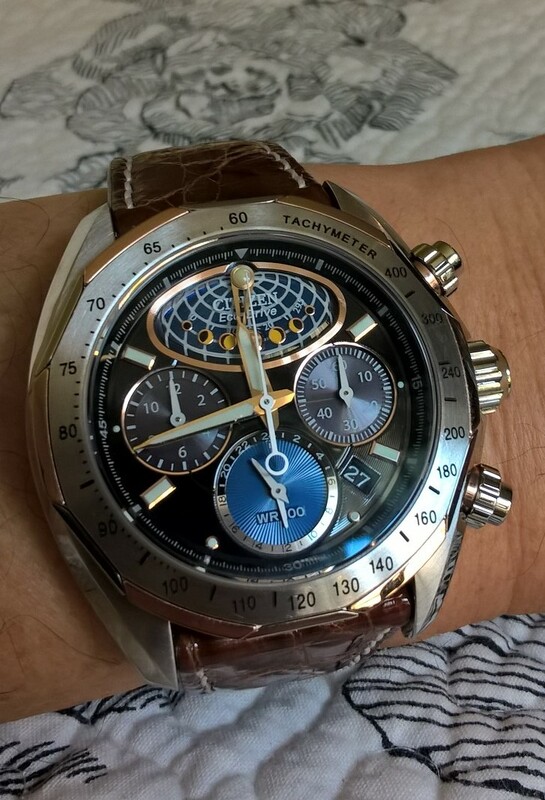 PetWatch wrote: Citizen Signature Moon Phase Flyback Chrono. Eight hands, unusual moon phase indicator. Second hand is one of the two on the 24 hr dial. Wow! Hard to see if it actually tells time. Yes, easy to get lost in that dial. Oddly enough though, the distinctive elongated hr. and min. hands stand out from the rest of the clutter when you look with the intention of reading the time. Fairly easy reader. Here’s another. The limited edition of the Hamilton Khaki Navy Pioneer. The watch detaches from the lugs so it can sit in a gimbal like a ships chronometer. Going on a Hamilton kick today. It's always been one of my favorite brands, and they've done some very cool and unique watches over the years. Here are some of my favorite weird Hammies. This one is a 1963 Hamilton RR Special 50 electric I use to own. Predating quartz watches, it uses a mechanical movement that's wound electrically by a battery. They're hard to maintain and weren't that accurate to begin with, but a very cool step between mechanical and quartz watches. This next one doesn't actually do anything unique, it's just weird and unique. 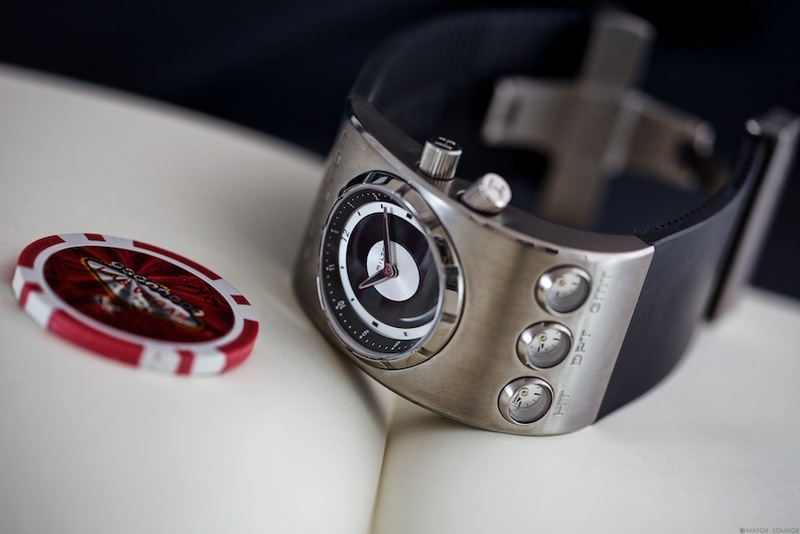 It's the modern reinterpretation of the watch Hamilton designed for Stanley Kubrick for 2001. 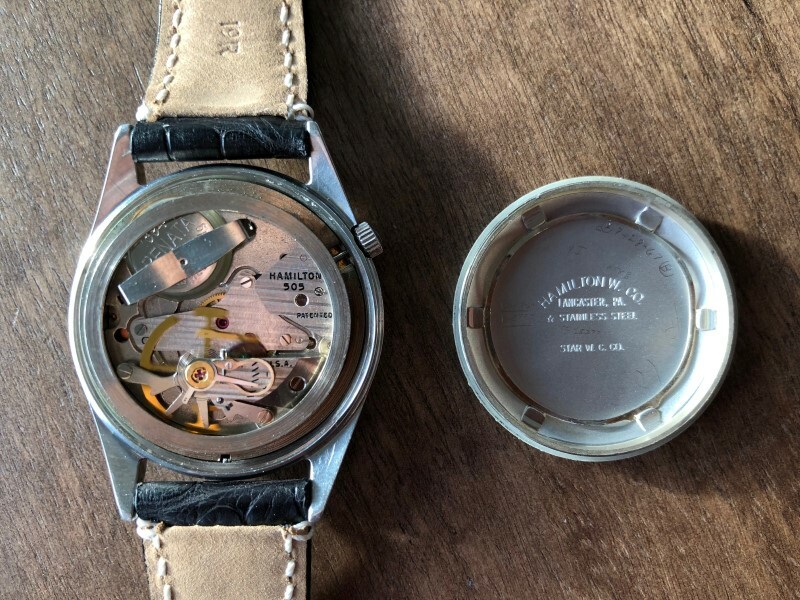 The case is titanium, and the three secondary movements allow three timezones to be tracked, in addition to the two you can track with the main dial and rotating internal bezel. The secondary dials are set using a magnetic wand that is stored in the clasp. Keeping with the theme of ugly but unique Hamiltons, this one is the Time Player. 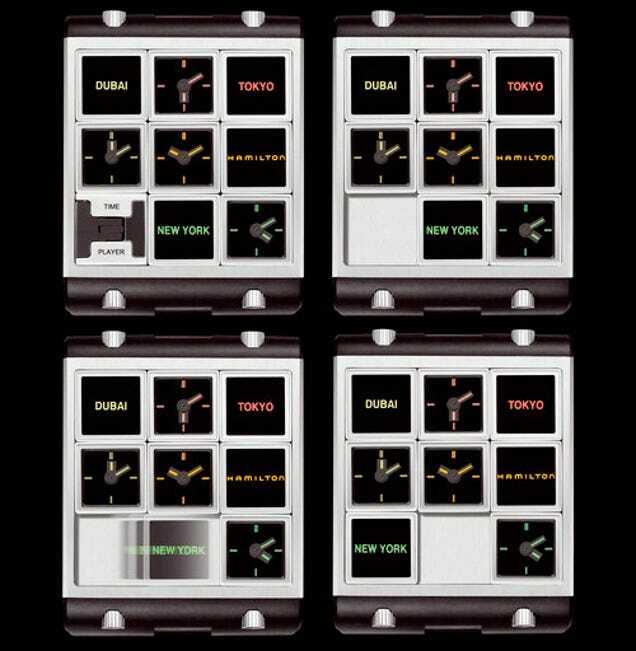 The huge titanium case contains four timezone specific dials, and four associated labels for them, all of which can be rearranged. Whichever dial is in the center can be set with the crown (which is on the back). The last oddball Hamilton I enjoy is the Pulsomatic. This one is an automatic movement powering a digital display, which, given the lower power consumption of an LED versus a mechanical movement, allows for a 120 power reserve.